Feeling like the local grocery chains selection of meat isn’t all that appitizing? Are they lacking in high-quality selection? If so, you aren’t alone in your quest to find better meat! What you can find at the grocery store is usually pretty limited and you can’t always be sure of the origins of the meat you’re buying. 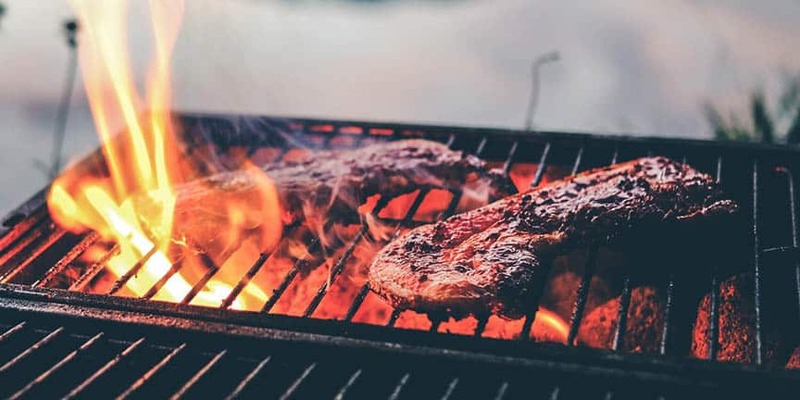 If you’re someone who wants to make more informed choices when it comes to the meat you consume, there are tons of great delivery services for high-quality beef, chicken, fish, and more. These are services that you can trust to deliver you top-notch cuts of meat with every single order you place. Not only that, but they’re making it even easier for you to purchase healthier meats coming from sustainable farmers that also care about the welfare of their animals (more than just grass-fed, free-range, and hormone-free). With the convenience of frequent deliveries, you can get quality meats delivered to your home without dealing with the hassle of the grocery store. Plus, you can be in full control of your order, selecting exactly the cuts of meat you want and getting to know the farms and even the ranchers behind the food you’re receiving. To help you get started, we’ve rounded up 11 of the best meat delivery services on the internet so you can place your first order. 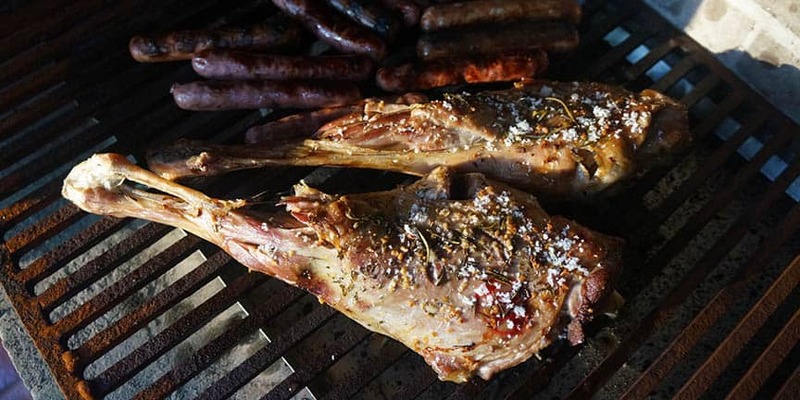 Before you know it, you’ll be seeing a box of high-qualities meats right on your doorstep! For monthly deliveries of beef, pork, and chicken, ButcherBox (read our full review here) is one of the most popular options around. 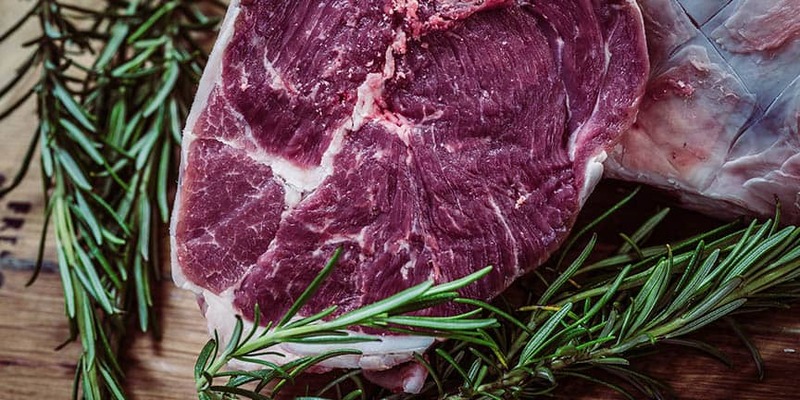 The reason so many people have signed up to their subscription is likely because they pride themselves on sourcing only quality meats from trusted farms. All of the animals are humanely raised and they’re never treated with antibiotics or hormones. The beef you’ll find in your box is 100% grass-fed and the chicken is free-range as well as organic. Plus, they offer heritage breed pork. This type of pork has a higher price tag but is considerably better for both the animal (humanly raised, healthier pigs) and your tastebuds (comes in an array of textures and flavors). 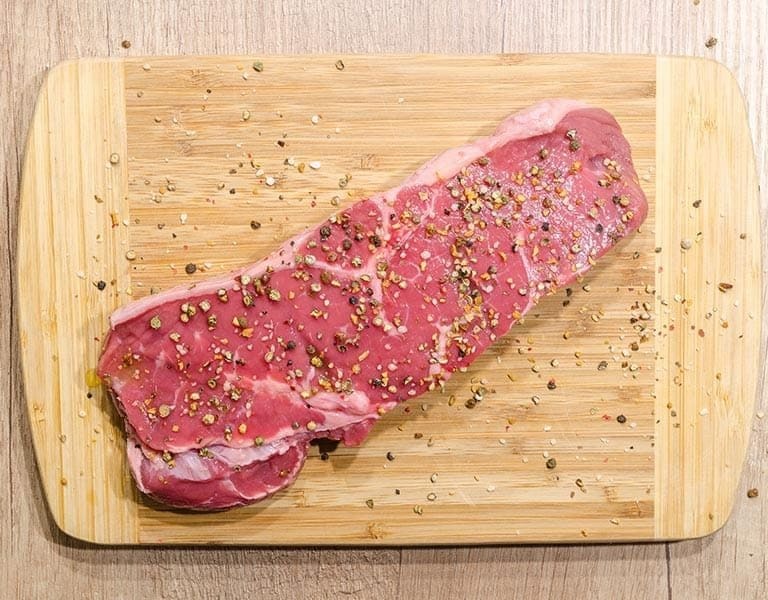 ButcherBox offers plenty of variety as well, including: ground beef, NY strip, top sirloin, premium steak tips, boneless skinless chicken breast and thighs, filet mignon, pork chops, and more. 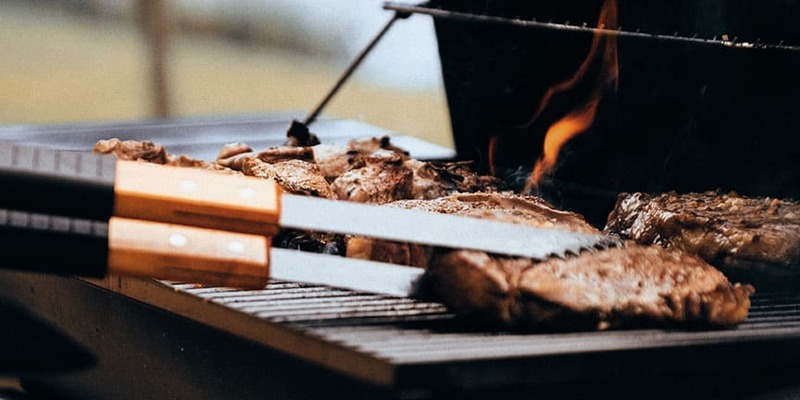 In addition to the actual meats, they also send you a variety of recipes you can use to turn that slab of high-quality meat into a high-quality meal. ButcherBox was one of the first meat delivery services we ever reviewed and it ended up being one of our favorites. If you watch our review video, you can see in the taste test just how delicious the meat was. Another option that gets you convenient deliveries of beef on a monthly basis is Crowd Cow (read our full review here). Their service is set up differently than many others though, which is what makes it so unique and another favorite of ours. This is because they don’t always sell the same exact cuts, like many other meat delivery services do. Everything on their website for order is based on what farmers have butchered within recent days. This makes sure that the meats are extra fresh. What we love about Crowd Cow is the incredible amount of information you get with each box. When placing your order, you’ll be able to virtually meet the small, independent ranch where your beef was produced. You’ll also learn about the breed and the style of beef. After you’ve become acquainted with the ranch, you’ll be able to select the exact cuts of beef that you want. Crowd Cow also gives you the ability buy an entire cow. Yes, you read that correctly… An entire cow. You can rally your friends to purchase beef from the same cow — hence the name “Crowd Cow”. All together, you can “tip” the cow and become what they refer to as a “steak holder”. Don’t you just love all these meat puns?! Whether the cow tips or not, you’ll still receive your order. The buying event ends once the cow tips or when the time runs out. Despite being a fun and incredibly unique experience to get involved in, you’re also getting high-quality beef with every order. They have 100% grass-fed, grass-finished beef, pastured grain-finished beef, hard to find A5 Wagyu from Japan, and many other non-beef selections. Snake River Farms (read our full review here) is a family-owned business that was founded back in 1968. They’re involved in every step of the beef production, from start to finish. This allows them to ensure they’re delivering a top-notch product to each and every customer who orders from them. And considering they’re providing some speciality meats, their customers certainly expect the best. They offer award-winning American Wagyu Beef, which includes skirt steak, porterhouse steak, prime rib, filet mignon, and even hot dogs (which ended up being some of the best hotdogs I’ve ever had). 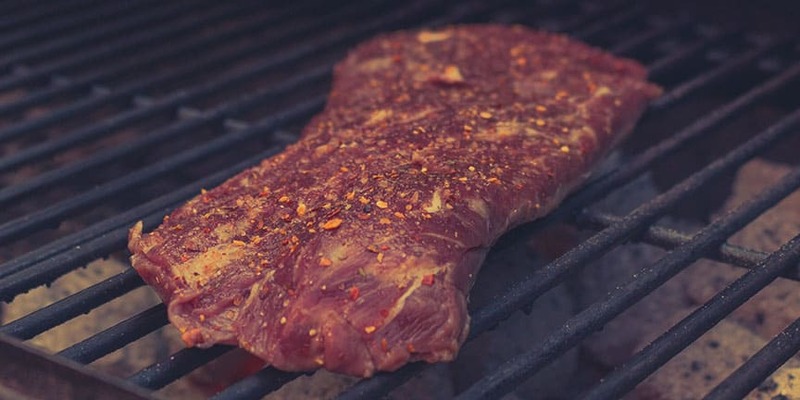 You can also get premium beef from the Northwest, which features Choice and USDA Prime beef. The Northwest beef provides cheaper options for the times when you don’t want to splurge. You can also purchase Kurobuta Pork from Snake River Farms, which is said to be equal in status to Kobe Beef.. They offer slab bacon, boneless pork chops, short ribs, pork tenderloin, pork belly, and even a whole ham. When you think about getting meat delivered, Omaha Steaks (read our full review here) is quite possibly the first one that comes to mind. The company itself has been around since 1917 and continues to deliver high-quality beef to customers all over the United States. They offer various steaks, gourmet burgers, sausages, roasts, and ribs. Plus, you can order poultry, bison, veal, lamb, and even seafood. But that’s not the end of their menu because, unlike other meat delivery services, they also offer desserts and wine to complete your meal. When we first reviewed Omaha Steaks and cooked up one of their famous filet mignons, I can honestly say it was one of the best tasting steaks I’ve ever eaten. However, their meats are all pretty expensive. It’s not a service I’d recommend to get delivered monthly like ButcherBox or Crowd Cow. Rather, it makes for a great gift or “splurge”. 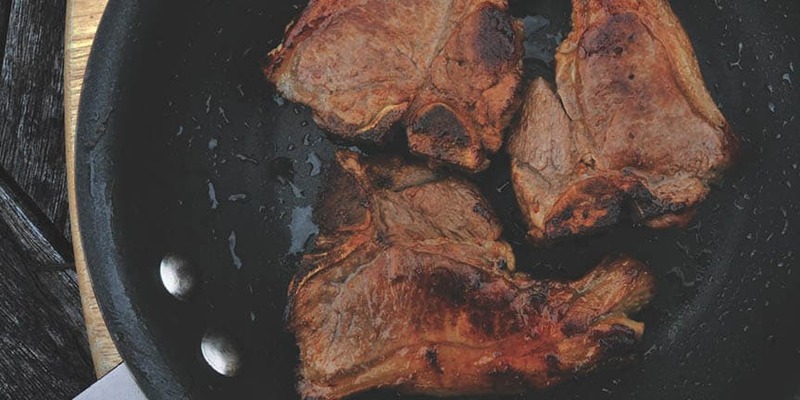 If you’re searching for any easy way to get pasture-raised meats delivered to your home, then Grass Roots (read our full review here) is one service that’s worth checking out. All of the meats they provide have been sourced directly from their group of small, independent farms (called a “cooperative” or “co-op”) and sent to you. 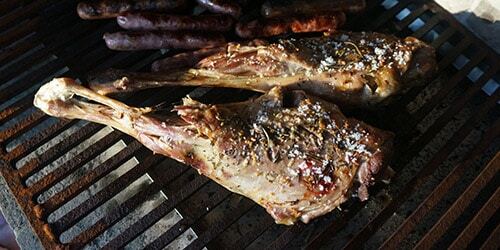 The animals the meat comes from live outdoors and are free of antibiotics, growth hormones, and GMOs. Building your box with Grass Roots couldn’t be easier either. You can get started by choosing your essentials, which includes their most popular cuts of meat. The essentials will become a renewing order that you receive every month. You’ll be able to stock up on things like a whole chicken, chicken breasts, bacon, deli ham, pork chops, and ground beef. Then, you can select any monthly add-ons that you’d like to receive. These are special items that are available for a limited time and will not renew the following month. Monthly add-ons are items such as brisket, New York Strip Steak, ribeye steak, turkey drumsticks, and ground turkey. Like Crowd Cow, Grass Roots sends you an incredible amount of information about the farm and animals. In fact, I was blown away when I opened our box and looked at the individual cuts of meat. Each piece of meat lists out who raised the animal, how the animal was raised, what it was fed, who processed it, and what it cost to raise it. Over at the Chicago Steak Company, they specialize in hand-cut, Midwest raised, Premium Angus USDA Prime beef. Each steak they provide on their site has been hand-cut by Chicago butchers that have an incredible five generations of experience. All of this is in order to provide you with a high-quality beef that’s cut to perfection. 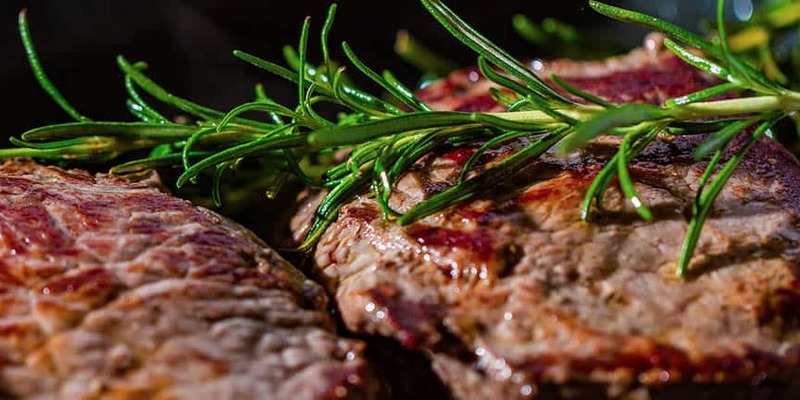 They provide a variety of cuts of meat, including bone-in filet mignon, boneless strip, flat iron, top sirloin, porterhouse, and Tomahawk ribeye. Besides steak, they also offer a selection of seafood, chicken, and pork. Like Omaha Steaks, they offer a variety of desserts you can add to your order! You can choose each item you order or purchase one of their assorted packs that feature various cuts of meat to try out. No hormones, no antibiotics, and only pasture-raised animals. That’s how Porter Road does meat. They served their local community in Nashville for five years and have now branched out to offer their meats to customers all across the nation. 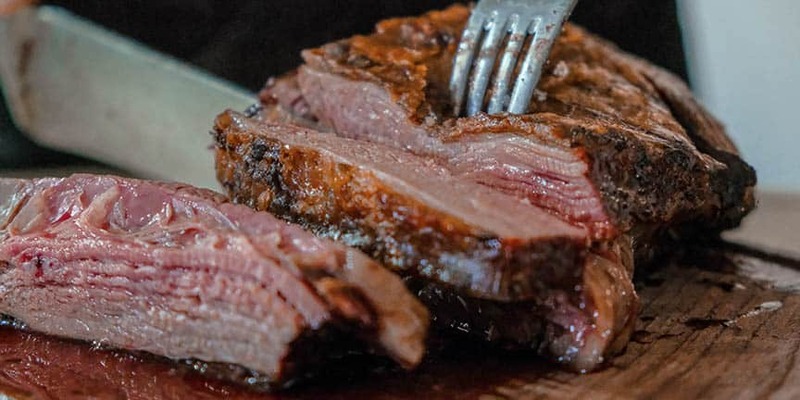 All of their meats are sourced from pastures located in Kentucky and Tennessee, so they know exactly where every piece of meat is coming from. The farms they partner with are ones that stick to the highest possible standards, plus the team regularly visits the farms to ensure the animals are taken care of. They’re being raised outside, fed a vegetarian diet, receive non-GMO feed, and are given proper attention throughout their life. When browsing Porter Road’s selection of meats, you’ll find beef, pork, lamb, and chicken to choose from. They offer bone-in ribeye, NY strip steak, chuck roast, ground beef, hot dogs, burgers, bacon, sausage, and even a whole chicken. As their name suggests, Kansas City Steaks has plenty of cuts of steaks for you to choose from. You can order filet mignon, Kansas City Strip, ribeye, porterhouse, top sirloin, t-bone, tips and medallions, and prime rib. 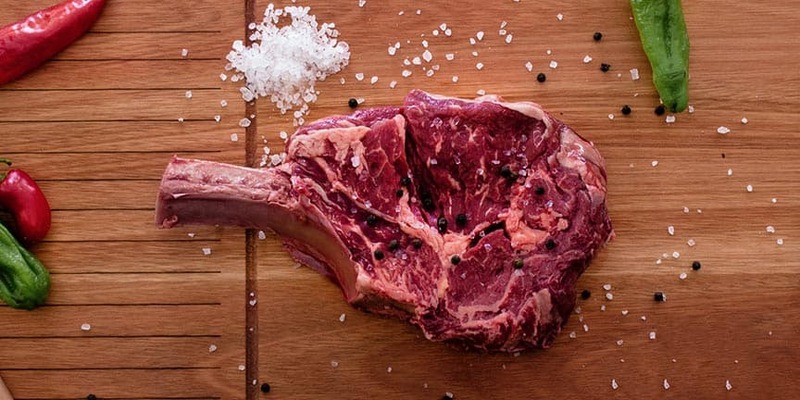 When ordering steaks, you can also choose from grass-fed options, USDA Prime, American Style Kobe Beef, and more. That means you’re in full control over the cuts and quality of meat you’re getting in each order. But they don’t just have steaks to offer! You can also get beef tenderloin, hot dogs, brisket, veal, ham, turkey, chicken, lamb, and pork chops. A quick browse through their online shop and your mouth is sure to start watering. With Meat the Butchers (I laughed at their punny name) they deliver their customers meat that is farm fresh. They also prioritize sustainable and humane methods for sourcing their meats, as opposed to choosing meat from mass production farms. The meat they sell has never been exposed to artificial ingredients, guaranteeing an all-natural cut. When shopping, you’ll be able to stock-up on beef, poultry, pork, and lamb. In addition to meat, they also offer high-quality seafood. 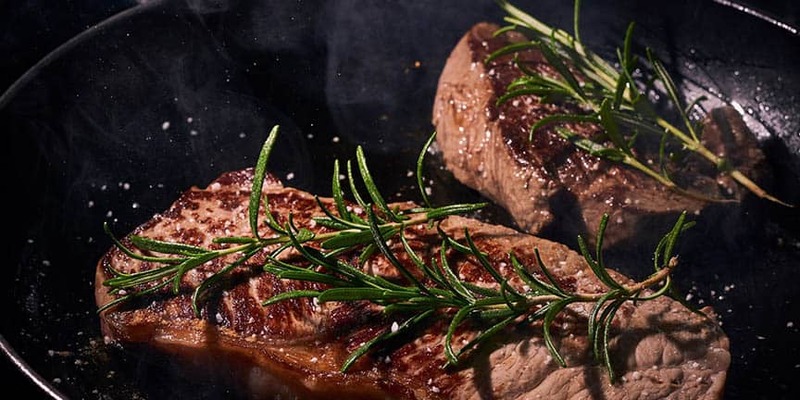 You’ll be able to find products such as Wagyu Burger Patties, Tomahawk Steak, USDA Prime Beef Tenderloin, free-range chicken tenders, Chilean seabass filets, all-natural pork belly, lamb loins, and more. The D’Artagnan name has been part of American restaurants and kitchens for over 30 years. And while you might not be too familiar with who they are, most high-end chefs are. Now, you can purchase a variety of classic and specialty items from their online shop. For classic favorites, you can order Angus Beef NY strip steak, ribeye, beef tenderloin, bacon, and pork baby back ribs. But they also have a variety of specialty items you may want to branch out and try. This includes Wagyu beef burger patties, Moulard Magret duck breast, semi-boneless quail, and foie gras cubes. These are such speciality meats that you’ll have a hard time finding them on any other site on this list. Similar to ButcherBox, Moink allows you to purchase a pre-selected box option or build your own to customize your order. They offer five different boxes, including one for Beef, Lamb & Chicken, just Beef, Beef, Pork & Chicken, Beef, Chicken, Salmon, and Beef, Pork & Salmon. However, if you’d like more control, you can choose exactly what goes into each box. The great thing about Moink is that all of their meat is humanely raised and ethically sourced. The beef and lamb is grass-fed and grass-finished. All of the chickens, beef, lamb, and pork are raised outside on pasture, which gives the animals a happier and less-stressful life. The fish they offer has been sustainably wild-caught in Alaska. Plus, a majority of the animals their meat comes from have spent their entire lives on the same farm and with the same caretakers. 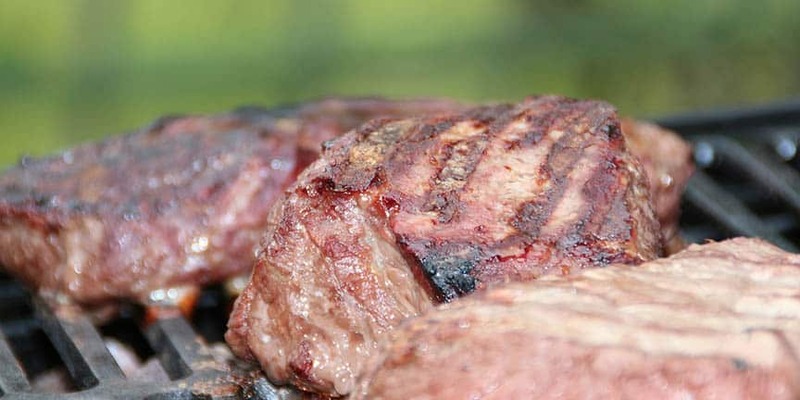 Every piece of their meat is antibiotic-free and not treated with growth hormones. Plus, the animals are never fed GMO grains. No solutions have been added to the chicken, nor is there any added sugar in the bacon or breakfast sausage they provide, which many big name meat suppliers do. The finished product you receive will never be doctored to change the color either. Added color to fish/meat is something regularly occurs but is rarely talked about. Have you tried any of the meat delivery services listed above? Have a question about one of them? Let us know in the comments below! ButcherBOX is a great 1. Got this gifted for my birthday and it came with free bacon. Glad to hear you love it! They’re one of our favorites too.